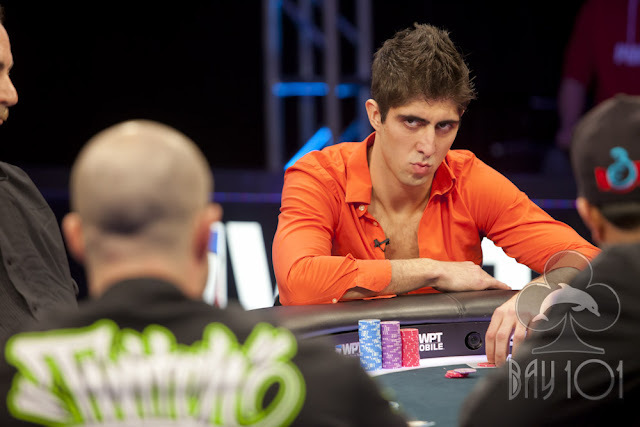 Joe Elpayaa was all in preflop with [Jd][Td] against the [Ac][Kd] of Ubaid Habib. Once again, the shorter stack got lucky as the flop fell [Ts][7d][2c]. Habib failed to hit one of his two overcards when the turn and river fell [6d][6c], and Joe has doubled up to approximately 1.7 million chips.